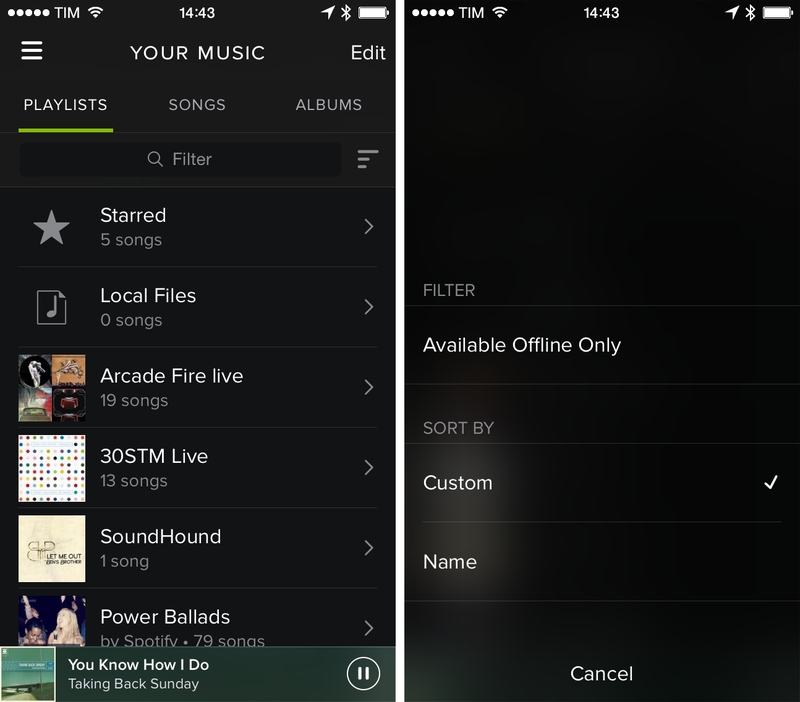 Following an update that added offline search capabilities earlier this week, Spotify released version 1.4 of their official iPhone client, bringing long-awaited sorting capabilities and a new queue management functionality to the Now Playing screen. In the Your Music section (a recent addition to Spotify that lets users organize their libraries with a traditional iTunes-like system), a new filter bar at the top of the screen contains a button to sort a list alphabetically and only show media that is available offline. Alphabetical sorting of music in Spotify has been (like offline search) one of the most requested features over the years, and the same filter bar also offers a search box to manually look for a specific song, artist, or playlist. Previously limited to swipe gestures, a full Play Queue list is accessible from the Now Playing screen by tapping a button in the top right corner of the app. 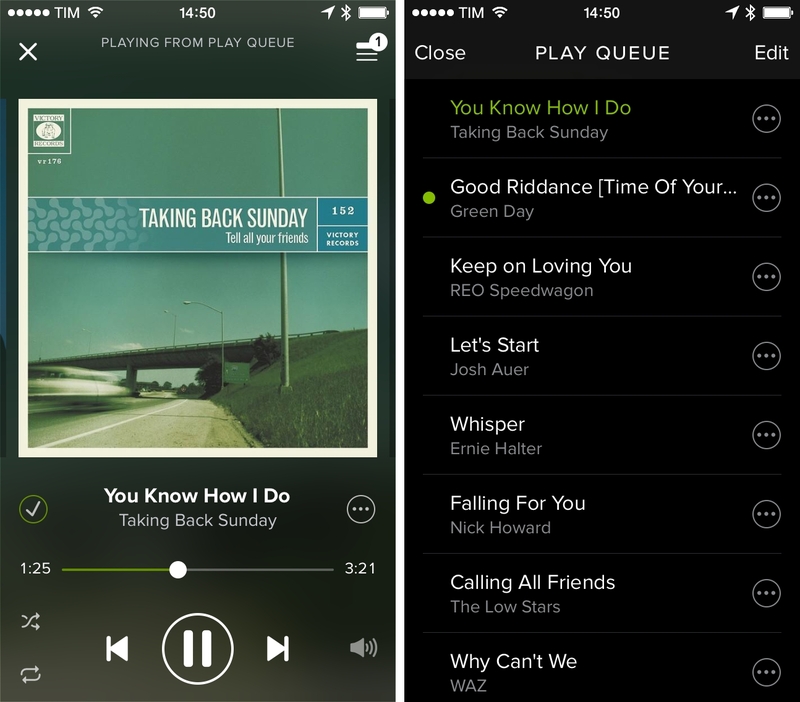 The Play Queue allows you to view and reorder songs in your queue with a regular list; songs can also be removed from the queue by tapping an Edit button at the top. Spotify 1.4 with the aforementioned improvements to the iPhone version is available on the App Store.